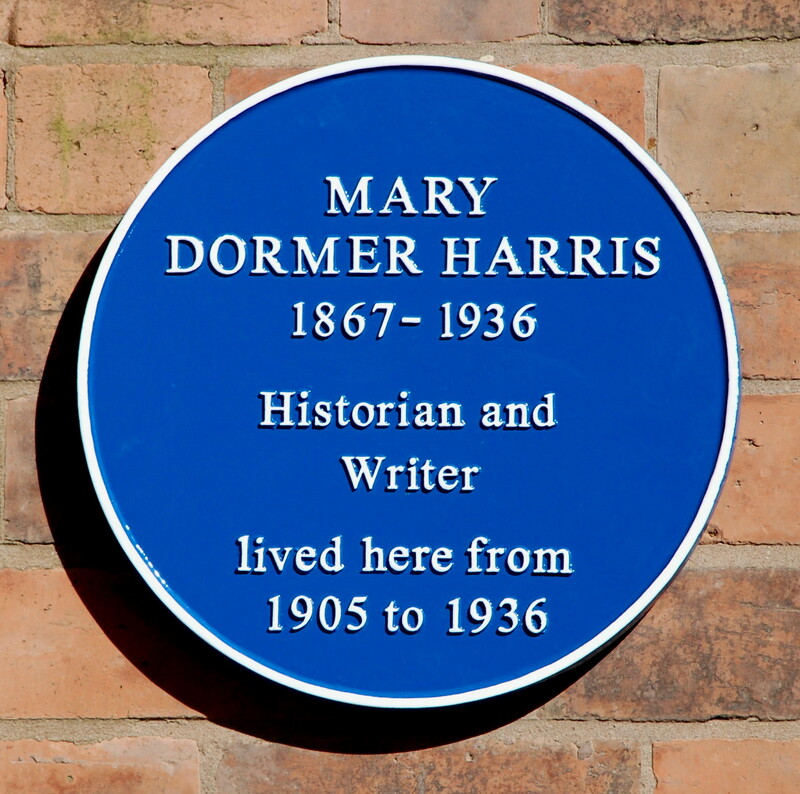 Mary Dormer Harris was a remarkable woman. Multi-talented, hard-working, an enthusiastic party-giver with a great zest for life, she had a wide circle of friends young and old. She wrote and published books and plays, lectured in local history at the University of Birmingham and was Vice-President of the Workers’ Education Association and an associate of the Dugdale Society. She was an ardent suffragist, one of the first female members of the Leamington Literary Society and a founder member of the Loft Theatre. 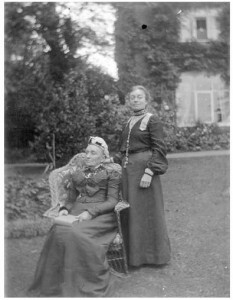 Mary was born in August 1867 at Stoneleigh where her father was a gentleman farmer on the estate of Lord Leigh. She was baptised Mary Dormer (her mother’s maiden name) at St Mary’s Church Stoneleigh, but was known as Mary or Molly, and later in her professional life as Mary Dormer Harris. It is not thought that there is any connection with the family of Lord Dormer. 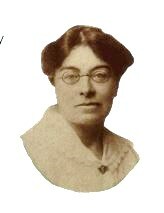 her, publishing her first book in 1898, thus beginning her career as an historian and writer. The book, Life in an Old English Town, was about Coventry, a city that MDH loved, and still a mediaeval city at that time. It contains the earliest known map of the city, published by John Speede of London in 1610. Mary subsequently fought to save from demolition many of Coventry’s mediaeval buildings such as Butcher Row, but it was not to be. Many were swept away in favour of modern shops, long before the Coventry Blitz of WW2 completed the job. In 1899, Mary Dormer Harris became the first woman to present a paper, The Manuscript Record of Coventry, to the Birmingham and Warwickshire Archaeological Society, and in 1904 began her greatest task, the transcription of the mediaeval Coventry Leet Book¹. This formidable undertaking took MDH ten years to complete, working from records in Latin, Norman French and Early English. Coventry City Council allowed the Leet Book, which measured 16.5″ by 11.5″ by almost 5″ thick, to be deposited at Leamington Library to make her task easier. Mary had long had poor eyesight, but her friends felt that she damaged her eyesight irreparably by doing this work. In October 1916, giving a paper entitled Warwickshire Life in Shakespeare’s Day, Mary Dormer Harris was the first woman to address the Leamington Literary Society, founded in 1912 as as society for gentlemen and known as “The Leamington Literary and Philosophical Society”. This was the year that membership was opened to women, and Miss Harris quickly enrolled, becoming one of its staunchest members. She was also an active suffragist throughout her life, playing a prominent role in the local society working to achieve the vote for women by non-violent means. She was a member of the NUWSS ( the National Union of Women’s Suffrage Society) and helped organise Midlands’ conferences and public speaking engagements. She attended as a delegate NUWSS conferences in Manchester, London and Birmingham and wrote regularly to the editor of the Courier on the topic of women’s suffrage . Her papers include correspondence with Christabel Pankhurst and George Bernard Shaw. Although she did not take part in violent action, Mary Dormer Harris had much sympathy for more militant suffragettes. She was also a supporter of the local League of Nations Association, the forerunner of the United Nations. During her student days, Mary Dormer Harris, although by nature a rather shy person, acted in a number of plays, and there began a love of drama which lasted all her life. In 1922 she became a member of the Warwick & Leamington Dramatic Study Club, the forerunner of the Loft Theatre. She then wrote and acted in a number of plays, among them “The Waters of Forgetfulness” in 1933, which was given at The Loft to “an overcapacity audience”. Many years later, the Leamington Literary Society gave a reading of this play at the Regent Hotel, with costumes kindly loaned by The Loft. 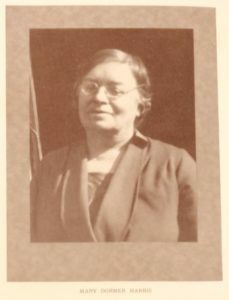 Miss Harris also wrote for a number of school broadcasts including a play, “The Bear and Ragged Staff” which was read at the Town Hall, again by members of the Literary Society. In 1905, new houses were built in Gaveston Road, Milverton, a short walk from Milverton Station with its regular services to Coventry. Mary and her mother moved into number 16, where they then lived for the rest of their lives, and where the Leamington Literary Society recently sponsored a Blue Plaque in her memory. Mary died aged 68 in a traffic accident one night in March 1936, crossing the road in the dark, not far from her home. She was buried in Milverton Cemetery, and in 1938, a Bursary scheme was set up in her honour, to benefit young people in the district going on to further education. The first recipient in 1939 was awarded £10, which rose to £25 in the 1950s, but in 2015, students may apply for up to £750 to further their studies. Another notable aspect of her legacy lies in the success of her decade-long work on the Coventry Leet Book, in that after her death, Coventry Council employed a professional archivist, Dr Levi Fox, later the Director of the Shakespeare Birthplace Trust, to continue her work. Click here to see a site which maps women’s suffrage in 1911. Mayor and other officials. Bailiffs were elected on Michaelmas Day, 29th September, and Mayors, Chamberlains and Wardens on St Paul’s Day, 25th January. The Leet made regulations and byelaws, to ensure that the city was kept clean, healthy and safe. Its members were in effect the forerunners of present day town and city councillors. By the middle of the 17th century, the responsibilities of the Leet passed to the Court of Quarter Sessions.